We will continue to denounce the policies aimed at fighting unemployment as counter-productive and futile. Technology must continue and be further developed to free the people from their forced labour and bring forward a leisure society, called Paradism. When all the work will be done by robots, human beings will be free to do what they like: create, meditate and have fun. It will be a real paradise on earth. The paradisaical society without work is unavoidable as it is deeply rooted in the aspirations of humanity and in the course of its technological progress. Nevertheless, the transition to this new society, during which technology is progressively taking away our jobs, does not have to be accompanied by more misery and suffering. Quite to the contrary. This is why this year we will also add our voice to the discontent against the policies of austerity that is being expressed globally. Why more austerity when there is no lack of resources and the shops are crammed full with all the goods we need? Why is it that our fantastic technology can produce more than we need but we can only afford a small fraction? 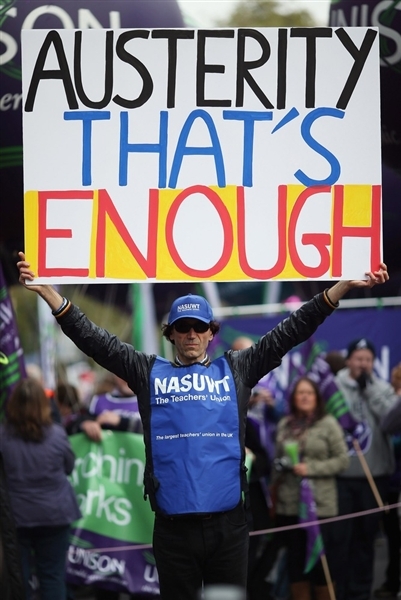 Austerity could eventually be justified in times of shortages but it is not the case at all. The problem is not that there isn't enough for everyone, the problem is that we do not distribute to everyone. The solution to avoid austerity is not to produce more but to share more. The solution to avoid austerity is to share the abundance and the prosperity that our technology provides and the paradise enjoyed by Wall street and the 1% can be enjoyed by the 99% as well. Amidst the poverty of ideas and the bleak alternatives offered by our politicians, the paradist movement brings real proposals to free humanity from poverty, injustice and slavery. - give the jobs to the machines and free the people. Once a community owns its financial institutions and its means of production, it is the whole community who will benefit from its fantastic productivity not just a few. Every production can be made abundant and become free. Money will become useless. Today we can either continue with capitalism, continue to compete against each other and create more and more injustice and destructions or we can decide to unite, put all our resources in common and cooperate to repair the earth and establish a highly technological society that will turn this world into a paradise. In fact, there is no choice. The paradise is our only possible future.